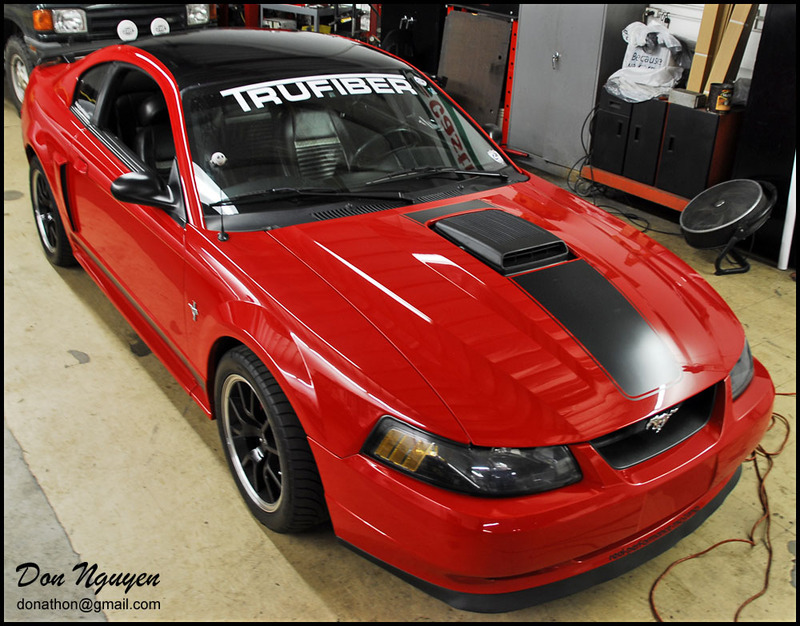 The owner of this red Ford Mustang came by to have me wrap the roof of his car in my gloss black vinyl material, to give the car some more contrast and also to compliment the other black accents that he already had on the car. Although it's more common to see white cars getting black roof wraps, the black roof on brighter colored cars such as this red Mustang still provides a nice contrast between the color of the car and the black roof. The owner of this car was from around Laguna Hills in south Orange County.